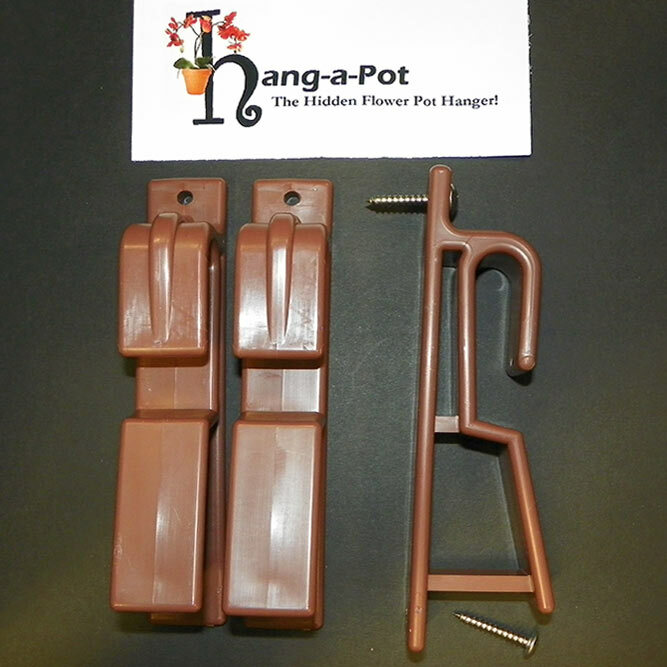 Take your vertical gardening and floral design to the next level with our clay pot hanger! Simple Design: Relies simply on leverage and gravity for reliable support. Resistant to Breakage: Made of durable polypropylene and UV resistant. Simple and Quick: Installs in seconds to a virtually any vertical surface. Use by Professionals: Highlighted in magazines and used by designers on home improvement TV shows. Hang-A-Pot is the perfect addition to your gardening and decorating toolbox. This strong clay pot hanger supported more than 100 pounds of plant, soil, and water in stress tests. Because of it’s durability, it’s excellent for either outdoor garden design or indoor container garden design. Additionally, because Hang-A-Pot is made from sturdy polypropylene, it can deliver year-round results through sunshine, rain, snow, and wind. Looking for an orchid hanger to display your stunning array of flowers? Looking for an innovative and gorgeous way of hanging garden pots? Hang-A-Pot has got you covered, and with our pack of 21 hangers, you’ll have enough hangers to beautify everywhere from your living room to patio! Order yours now!